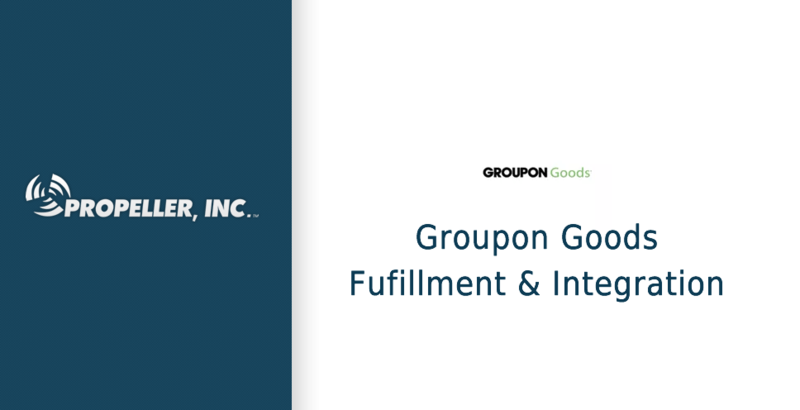 We have added Groupon Goods to our list of eCommerce solutions that Propeller provides fulfillment and integration for. Therefore, if you own a business that uses Groupon Goods we can help you grow, due to automating your fulfillment process. Integrating your eCommerce solution with Propeller, we can process your order and get them shipped efficiently and cost-effectively. Furthermore, the quicker an order can get to your customer, the more satisfied they will be! All of which can be done without hiring additional staff, facilities, and equipment. At Propeller, Inc. customers are able to securely connect with Groupon Goods and over 30 other eCommerce solutions. Therefore, helping you automate your fulfillment process. Because of the integration with Propeller, you will be able to automatically send orders, receive shipment confirmations and sync inventory with Propeller, Inc.
Groupon Goods is a daily product deal site where quality branded goods are sold at discounted prices…Goods offer vendors a unique channel to build their brand, launch new products, and potentially sell more product in a three-day window than most e-commerce channels could sell in months.